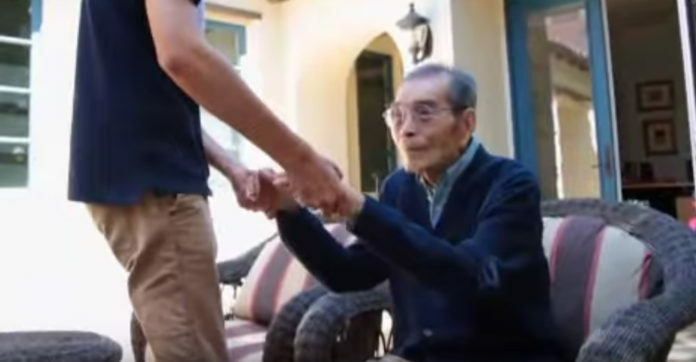 This Talented 15-Year-Old’s Solution For Alzheimer’s Patients Is Just Brilliant! The “Safe Wander” device is small and lightweight. It has a pressure-sensitive button that will attach to an Alzheimer’s patient sock – it is about the size of a lima bean. Alzheimer’s patients are easily confused and disoriented and can often times wonder off and get lost or hurt. But with “Safe Wander” a message is sent to the caregiver’s smartphone when pressure is applied. So, no more wandering around and getting lost. Sounds brilliant – right? It is, and it was all designed by a young boy named Kenneth Shinozuka back in 2014. At the time, Kenneth was just starting 11th grade, and he wanted to be sure his grandfather, who has Alzheimer’s was safe. Kenneth was given a $50,000 prize from Scientific American Magazine for his invention! After high school, Kenneth wants to become a neuroscientist who specializes in computer science and engineering. Share away, people!